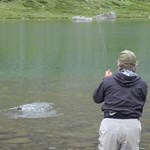 Fly Fish Wyoming-Fly Fishing at its best! 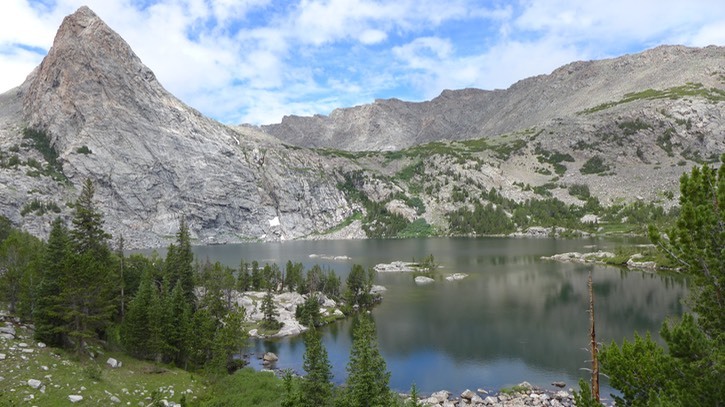 Get away from the crowds and experience some of the best fly-fishing in the lower 48! Go on a trip of a lifetime! 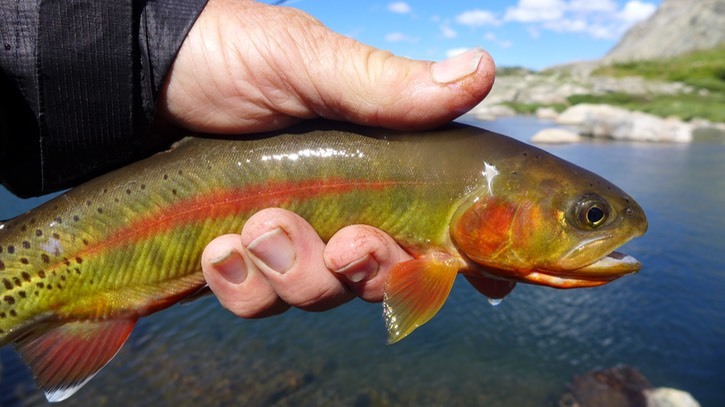 I love to fish, before I can remember, I would beg my parents to take me across the street so I could fish in my neighbor’s little trout stream. I made my own fishing rod from a spool ... moreof thread and used Christmas-tree hooks. I was obsessed. 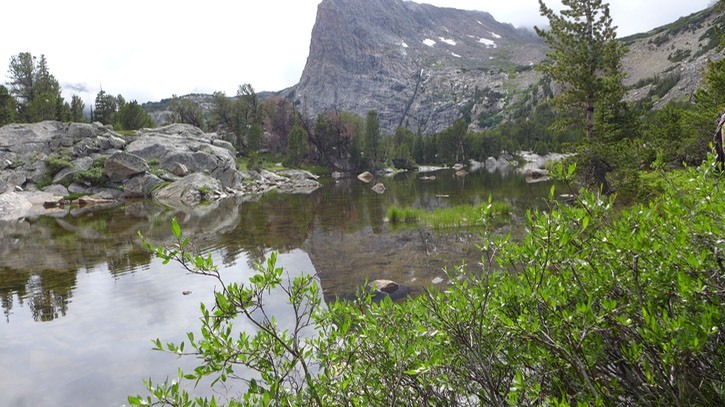 At age eleven Mr. Thomas, an older man from my church asked my dad if he could take me fishing. He had the patience of Job, and many Saturdays in the summer he’d pick me up and we’d fish for bass. He didn’t fish with a regular rod, but taught me how to do real fishing, fly fishing. Who knows how many hundreds of flies I lost in the trees, but it was through his kindness and patience I learned to fly fish. When my uncle heard I started fly fishing and loved it, he taught me how to tie flies. I still remember sitting down at the table with him and tying my first ‘wooly bugger’. He then gave me a complete tying kit; I was off and haven’t look back since. 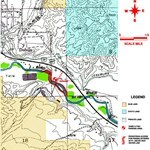 So if you want to catch lots of fish on a guided trip, or you really want to become proficient at fly fishing, I’d love to help you. 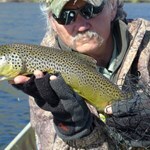 Geoff has been tying flies and fly fishing for over 32 years. 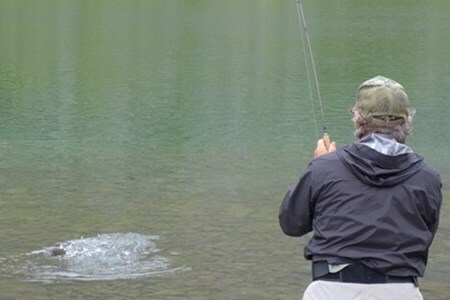 If you’re interested in becoming a great fisherman Geoff is your guide. 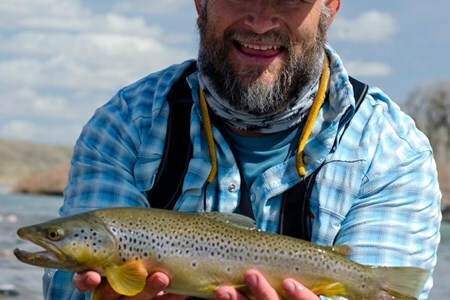 You can become proficient at casting (and learn the double-haul), reading water, knots, mending, fly selection, landing large fish, and much more. 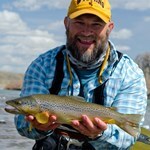 Geoff is an Orvis endorsed Guide. As well as a guide, Geoff is a minister and college professor; needless to say, he loves to teach others what he is passionate about! He has taught at the graduate level, lectured and debated around the world on subject of creation and evolution, and with 5 children is a great teacher for any age level. His patience with people is only exceeded by his wife Lauren’s patience with him! 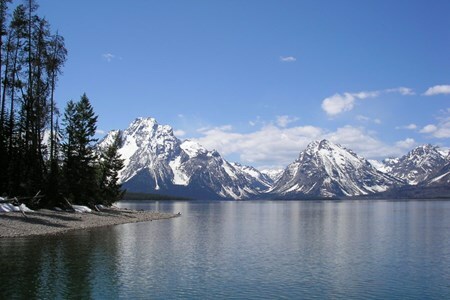 So, if you want to get away from the crowds and do some wild trout fishing in the most remote part of the lower 48, visit Yellowstone and get your Cowboy fix, this is the place for you! Email me and we'll put a customized trip together for you! 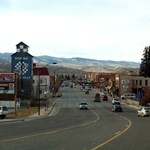 Tom has lived in Dubois for over 14 years. 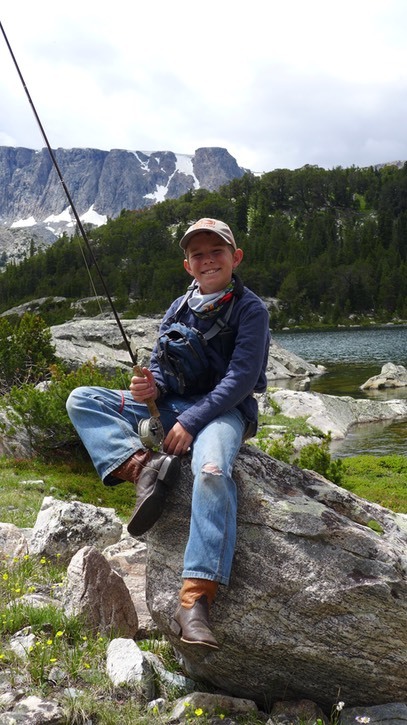 He loves the outdoors and has fly fished for a long time. 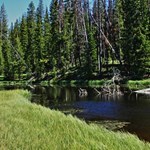 He loves float-tubing, and fly fishes for all kinds of species in fresh and salt ... morewater. 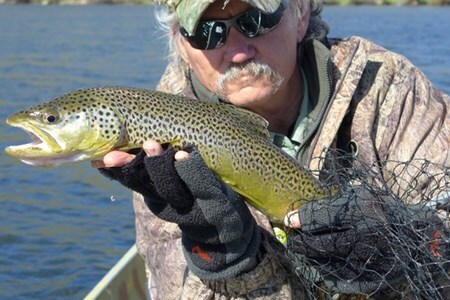 Mark Quigley is a recently retired Conservation Officer and has been a long time passionate fly fisher. 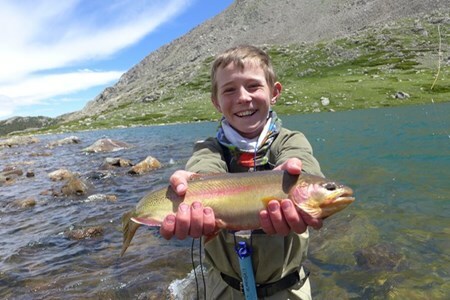 He began tying flies and fishing with a fly rod in high school. He has fly fished ... morefor every thing from bone fish in the Florida Keys to salmon in Alaska, but enjoys most introducing others into the flyfishing world. 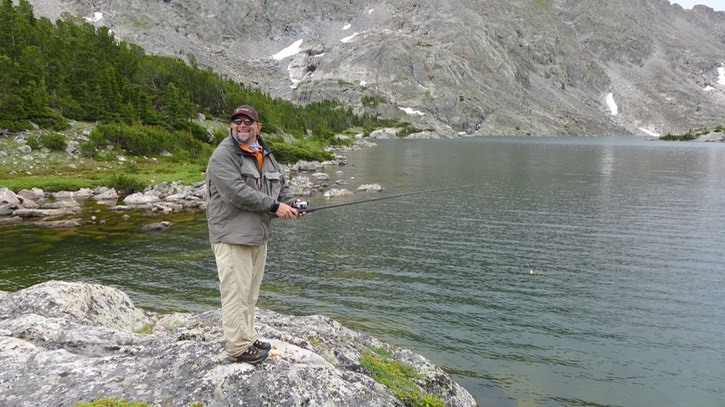 He has been married to his wife Mary for 33 years, who also enjoys chasing trout from their family cabin near Yellowstone National Park. 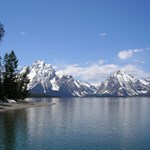 Mark began fishing the Mountains around Teton and Yellowstone Parks in 1982 and has been hooked ever since. 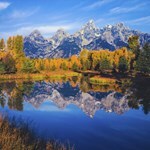 Mark is also a well known photographer and specializes is the photography of America's natural resources for companies and organizations. 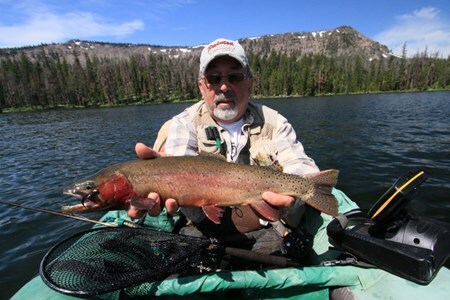 Whether it's a mountain-horseback-wilderness-fishing from float tubes, drift boat or walk in fly fishing trip he can assist you in your catch of a lifetime and photograph it too! 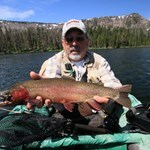 Mark also writes and photographs for Northwest and Southwest Flyfishing magazines.